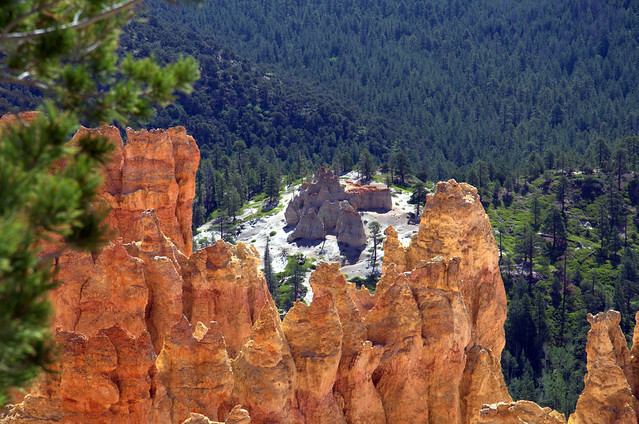 Before hitting out the trails or to go backpacking in Bryce Canyon, make certain that you have all the necessary hiking gear to make your outdoor adventure in one of the prettiest place in the world a success. An overloaded backpack is a common complaint when hiking enthusiasts set out for a multi-day trip. While others could manage a 60 pound pack, others may seem burdened by carrying several pounds of luggage on their back. Making an organized list of the important things and essentials that should be packed will help make your backpacking a bit easier. Make an inventory and fill up your pack with the necessary things that you need placed inside. In your checklist, you must check or highlight the 10 most important things, along with extra socks, a tent and sleeping bag. Assess the things in your checklist which are not placed with a check and decide which are extremely essential. Make sure that everything would be enough for the whole duration of your trip. Foods from mega marts usually come in packaging of a box or container. Remove a portion of the consumables which you only need inside their bulky containers and move it in plastic bags where you can have a control over how you would organize it in your pack. Cut out the instructions from the container to make sure that you have the details on how to appropriately prepare the food. It is important to have a complete knowledge on how to use your gear and equipment if you are already out in the trail. Practice on how to assemble your tent or micro stove, as well as learn the ways to repair your equipment with limited resources. Learning the basics will make you easily identify what needs to be done in situations like clogged stove’s fuel jet or a few stakes that are missing to set up your tent. Finally, place everything inside your pack that you probably need when already in the outdoors or on a trail like the Navajo Loop trail. Remember where you have placed everything in your pack so that you can easily locate them. As an example, remember to place your rain gear on top of your backpack or in an outside pocket for easy access during sudden rain showers. It is a better idea to calculate how much space is being consumed for your equipment in order to give extra room for additional food or other gear if needed. And that’s it, that’s how you prepared for a backpacking trip to Bryce Canyon. You’ll come prepared to see some of the most beautiful scenery you can find anywhere, and you won’t be disappointed. Well as long as you’re prepared that is.